A juice cleanse is a type of detox diet that involves consuming vegetable and fruit juice for a short period of time (typically one to three days). Some programs include one or more smoothies per day to provide protein, fat, and other nutrients for energy and to curb hunger, or even vegan meals and snacks. But a cleanse is certainly not right (or needed) for everyone—and at the end of the day, it is just a trend. Learn more here about what a juice cleanse does, how to do it safely, and some better alternatives for optimal health. 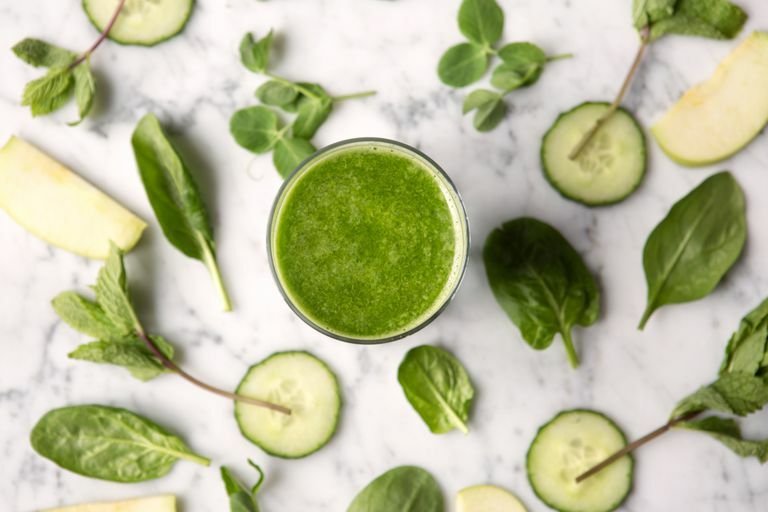 According to proponents, a juice cleanse supports the body’s natural detox processes, clears the diet of sugar, caffeine, refined foods, and other foods and substances that can deplete energy, and jumpstarts a more healthful way of eating. Consultation with a healthcare professional is recommended before a juice cleanse, particularly for cleanses lasting longer than one day or for anyone with a health condition. Juice cleanses can be done at home using a juicer or juice press. Cleanse programs are also available in many cities at local juice bars, larger chain stores such as Whole Foods Market, Costco, or Target, or can be ordered online from companies such as Blueprint Cleanse, Organic Avenue, and Pressed Juicery. Although it may be tempting to jump into a juice cleanse, preparation is considered essential for one to five days before the cleanse starts. Certain foods, such as coffee, refined sugar, meat, dairy products, wheat, alcohol, and nicotine are gradually eliminated to reduce headaches, cravings, and other withdrawal symptoms. It’s also considered important to increase intake of fresh vegetables, fruits, and fluids during the pre-cleanse. During the actual cleanse days, at least 32 ounces of juice or smoothie is usually suggested, with at least half being green vegetable juice. 6-8 p.m.: Smoothie or almond or cashew nut "milk"
Smoothies and vegan food can be included or substituted in more gentle juice cleanses. Room temperature or lukewarm water may be consumed between each juice or meal to promote elimination. To optimize nutrient absorption, juice cleanse proponents recommend drinking juice slowly rather than gulping it down. Juice is typically consumed a couple of hours apart, with the final drink of the day being at least three hours before bedtime. Fruits and vegetables used to make the juices often include celery, kale, carrot, cabbage, apple, spinach, beets, and leafy greens. Avocados and bananas don't juice well, and the pits of peaches, apricots, cherries, and other fruit, apple seeds, carrot, and rhubarb tops, and tough skins of kiwi, pineapple and mangos should be avoided. Organic produce is best, but if it's unavailable, a fruit and vegetable wash (often available in health food stores) may help to remove pesticide residues. People often find it easiest to juice at the beginning or end of the day and to make enough for one full day. Although juice should be consumed as close to the time of juicing as possible, juice can be stored in covered glass or BPA-free cups or bottles. If hunger pangs are persistent or uncomfortable, vegetable broth or a small snack such as carrots, celery, a salad, or a piece of fruit is often suggested. For certain people, a modified juice fast that includes a salad each day for lunch or dinner may be recommended. After the juice fast is complete, food is usually reintroduced into the diet over several days. A juice cleanse isn't right for everyone. It should not be undertaken by children or if you're pregnant or nursing or you have diabetes or chronic liver, kidney, or gallbladder problems. There can be side effects and you will need tactics to deal with the hunger pangs. While it’s a good idea to tone down your exercise routine during a juice cleanse, normal activity such as walking can help to boost blood and lymphatic circulation. Also, try massage therapy (such as Swedish massage, lymphatic drainage, deep tissue massage, and Thai massage), contrast showers, and skin brushing, which can be done as part of a regular shower. Stress can have negative effects on health and can impair detoxification. Allow the mind to rest by incorporating mind/body practices such as diaphragmatic breathing, progressive muscle relaxation, or mindfulness meditation. Try to get plenty of rest. Go to bed as early as you can and take naps if possible. According to traditional Chinese medicine, the liver is associated with anger, the kidneys with fear, and the gallbladder holds frustration. Proponents of juice cleansing believe that old emotions may arise and be cleansed from the system as the corresponding organs are cleansed. See "Understanding Emotions in Traditional Chinese Medicine" to learn more about the fascinating relationships between emotions and physical symptoms.